Today, we caught up with Parascript VPs Bill Johnson and Greg Council to discuss their new offering, FormXtra.AI, what differentiates it from other technologies and how its impact on document automation promises to accelerate change in business processes across industries. A: Greg: Our solutions are focused on automating tasks associated with processing document-based information—whether scanned or “born digital.” Functions such as identifying document types, sorting documents, and locating and extracting specific data within documents is our area of expertise. Bill: Parascript provides highly advanced document classification, recognition and data extraction capability over virtually any type of document-based information transmittal be that checks, contracts, invoices, mortgages, insurance documents, paper based or digital. When you consider that the very first point of contact for essentially every business process relies on accurately and efficiently identifying and routing source document/data into the workflow, you can easily see how important increased speed and reduced errors are because from an overall process perspective, it has an exponential effect on the ensuing processes downstream of capture. Q: Tell us more about FormXtra.AI Zero Configuration and Smart Learning. What makes these so important? A: Greg: When you consider advanced capture (our solution domain), the ability to provide positive impact is completely reliant upon optimization of document processing where the measurements are the amount of documents that can be automated at a specific accuracy rate. The ability to optimize advanced capture is typically time-intensive and requires a high degree of expertise – both of which are in short supply. 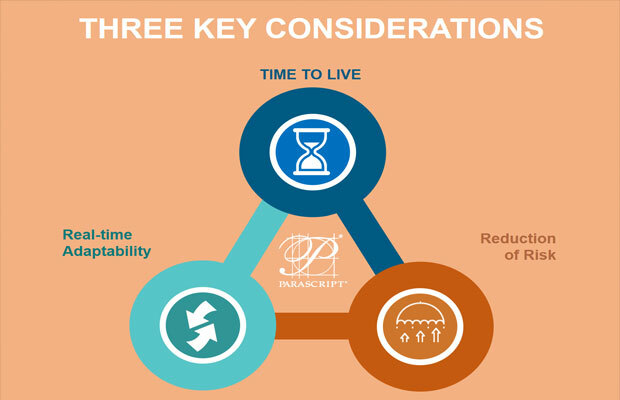 This underlying requirement is unlike most other business solutions where ROI is measured upon capabilities that do not require as much specific expertise or “tuning.” Parascript Smart Learning uses a variety of machine learning technologies to automate this configuration and tuning, resulting in as close to a zero-configuration experience as is possible today. Smart Learning also powers adaptive capabilities once in production that maintain and even improve performance as it encounters new data. No other solution can reduce the time and skills required to achieve high performance. Bill: As a solution architect and business person, I believe there are essentially 3 things to consider when assessing the value and contribution of a solution. 1)Time to live – That time it takes from engagement to entry to User Acceptance Testing (UAT). This is a critical factor as you are basically burning daylight (investment) on system development until you actually go live with the solution and begin to take advantage of the benefits it is designed to deliver. With Zero Configuration, we eliminate all the rules based configuration and coding requirements as well as the time to deliver and test them. It’s all compute time and typically accomplished in days once we have samples and relevant data sets. 2)Real Time Adaptability – FormXtra.AI provides unattended self-learning. This means the system learns on its own as it goes and does not rely on (nor is it subject to) attended learning or the errors associated with the human-supervised learning and rules-based models. This significantly increases the ability to deal with new forms or transactions without having to have an engineer write new rules in the capture system. 3)Reduction of Risk – as it relates to specialized skill sets and availability. FormXtra.AI is far less dependent on proprietary skill sets and tribal knowledge (experience) when it comes to configuring and maintaining an advanced capture platform. Illness, vacations, job competition and basic cost for specialized talent are mitigated to a large extent. Q: What makes you stand out? Is it the technology? A: Greg: It is a combination of our technology and our expertise on how to apply specific advanced capabilities to a given problem domain. We have taken our decades of experience in automating large scale document-oriented operations and embedded it into FormXtra.AI. The result is a document-focused machine learning platform that can learn any organization’s documents without having to understand advanced technology concepts. It is akin to the specific application of machine learning to autonomous driving vehicles where the concepts of driving (stop signs, signals, pedestrians, other cars, etc.) have already been learned. 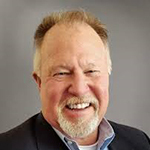 Bill: Having been in this business for almost 30 years with 18 of those years as an overall solutions provider, I have watched the evolution of ECM and capture technology in real time. The technology here at Parascript is truly revolutionary, but what sets us apart is our genesis. When everyone else was writing scanner drivers, then developing batch capture capability in client server environments, which ultimately evolved to advanced capture capabilities with only recently using AI, neural networks, etc., that’s where we started. Having already solved some of the most complex problems like handwriting and cursive recognition, signature verification, etc., it was an easy step for Parascript to enter the forms processing arena with an extremely capable platform. Q: What is the biggest challenge you’ve faced in your business and how did you overcome it? A: Greg: I would say it is the complexity and expense of delivering highly-tuned document automation. Parascript, as well as any other vendor, would typically require months of analysis, configuration, and tuning effort. We have overcome this roadblock with Smart Learning. Bill: I’d add that our biggest challenge is traditional wisdom. The industry is essentially trained on “feeds and speeds” as evaluation criteria and that “features” are what are important. We have literally changed the rules when it comes to advanced capture. We like to say that at Parascript that we have ended the “Feature Wars.” Corporate America is keenly focused on results vs. cost now as opposed to the mechanizations that supply the functionality. Getting new customers to look at things in terms of straight-through processing and the overall business process improvement as a result of increased velocity and reduced errors submitted to workflow can be challenging (until they see the results) when all that has been preached for decades is recognition rate, accuracy and error rate within capture. Q: What is the best thing about Parascript that people might not know about? A: Greg: We don’t just sell software, we sell results. Often, we guarantee performance results. No other vendor does that. Bill: Parascript has been around a long time and done some amazing things, but we have little market/name recognition. We are the leaders in handwriting and signature verification. We have automated some of the largest mail operations in the world. Since we do most of our business through partners, you wouldn’t even know that the average US citizen is probably using our technology every day or every time they use an ATM or mail/receive a letter. Q: What are the automation trends to watch for in 2019? 1. Interest in machine learning includes data and data science or Big Data 2.0. Machine learning has always needed a lot of data in order to develop inferences and “learn” while deep learning requires even more data. It is the modern application of the old computer axiom of garbage-in/garbage-out. As more processes undergo digital transformation, more data will be created. After all, this is where “big data” originated. Less of a known quantity is the over-fitting and biases within machine learning models that can go undetected, yielding poor results or downright dangerous outcomes. The key is good data science and practices where the data that is used to learn is as pristine as possible. Going from “Big Data” to “Good Data” will be the focus. 2. Advanced handwriting recognition becomes mainstream. Fresh on the heels of offering cloud-based OCR and handwriting recognition, more use of handwritten information within consumer and business-oriented applications will take hold. Parascript has been a longtime provider of unconstrained hand-print and cursive recognition. Until recently, however, overall adoption has been relatively limited largely due to challenges with less capable technologies leading to the belief that it doesn’t work well. While Parascript customers know otherwise, with the “awareness muscle” of Google and Microsoft, we will see renewed interest in everything from simple handwriting transcription for search-based applications to applying more advanced machine learning to business correspondence to determine the proper course of action. Just like advanced capture, these applications will use handwriting transcription as a core prerequisite, but then deliver a bevy of AI-based interpretation on top to deliver actionable information. 3. Advanced Capture embraces the digital domain. Advanced Capture embraces the digital domain. The primary lens with which most organizations view capture solutions is focused mostly on solving the “paper problem.” Use cases typically are limited to scanning documents and/or processing image-based files. Some of this is the fault of advanced capture vendors that require searchable PDFs and electronic documents to be “rasterized” into images as a prerequisite. Parascript removed this unnecessary prerequisite years ago. Bill: There are any number of distinct things that you could be tracking, but I believe the next significant leap will be when we start treating our area in terms of data science, instead of data processing. Parascript’s Smart Learning, and our “Deep Learning” capability that is applied to data in general, not just document-centric information, gives us the ability to apply learning to an entire business process. Imagine being able to discover that issues in step 6 of your process are actually being created in Step 2, and the system can make adjustments or recommendations as to how to address it. Or for even greater perspective, imagine being able to take the data that’s being used to process the transactions and use it to drive business or market decisions in near real time. We are not there yet, but we can see it on the horizon. Bill Johnson is the Vice President of Global Sales at Parascript leading our Sales team in the US and abroad. Bill is an industry expert who has been in the ECM business for over 25 years. He has delivered 1000s of solutions to hundreds of clients. He has owned his own company so he’s been on the client side of the business and understands customer pain points. 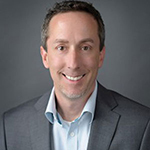 Greg Council is Vice President of Marketing and Product Management at Parascript. Greg has over 20 years of experience in solution development and marketing within the information management market. This includes search, content management and data capture for both on premise solutions and SaaS.